There is still hope when KidZania is there. KidZania is a global indoor theme park in mumbai meant to educate your child in a practical yet fun manner. Setup in a huge campus with 100+ role playing activities, KidZania is providing your children to experience the adult world themselves. The concept of KidZania is not only to educate your children but it also aims to promote the dilapidating family values in today’s time. KidZania provides a complete family package for your family to spend the time together and enjoy the whole day at our global theme park. Families can get together and enjoy as their child fills in the adult shoes. 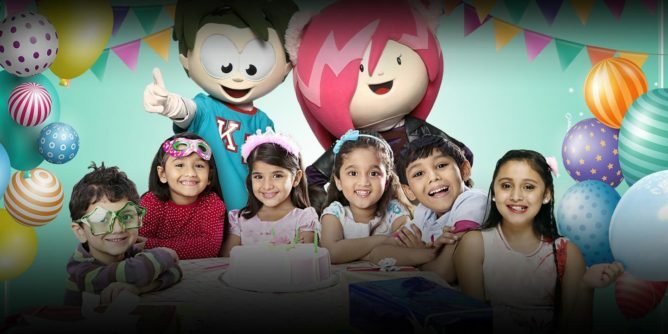 KidZania provides a host of activities for you to interact with your kids. Be a part of your kid’s excursion by simply getting involved in their activities. You can either become their colleagues in their profession or a partner in their adventure. Now see your children adopting the role of policeman saving his city, or a doctor helping those in need. Interact with them as a potential customer in their shops or simply spectate while they showcase their skills as an RJ or an actor or a singer. These activities are designed in a way in which you can establish a stronger bond with your children. This not only establishes better cognitive skills but also develops their social communication skills which bridge the communication gap. These activities help you to nurture your bond with your loved ones as they learn to grow in a symbiotic relationship benefiting your family. At Mumbai KidZania, children thrive in a well nurtured environment and social surroundings which help them to interact with society efficiently and hence taking a step forward towards universal brotherhood. So whenever you plan to take your family to an outing and wish to spend some quality time together, then let KidZania do the wonder for you.